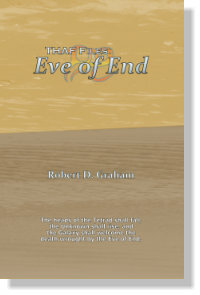 The THAF Files and Apesol Rains series share the same multiverse setting, spanning from the original timeline introduced in The Future History, the parallel universes afflicted throughout the Apesol Rains novella collection, and the culmination of the Zektian War in Eve of End. Though the immediate Zetkian threat had been neutralized, General Banks knew that the worst was not behind them. Reinstating the militia that never existed, Banks sets out to align THAF with the powerful Psyeons in the interest of maintaining Galactic security. Meanwhile, after millennia of biding, the final window opens for the Zetkies, and Apesol rains toward the reflected blue starlight. Earth is now extinct. What remains of the Human race resides on planet Terraxeq, as welcomed by its inhabitants, the Arrisbies. When the hostile Zetkian race arrives to threaten Terraxeq with enslavement, the Humans form a military organization dubbed THAF—the Terraxekian Human and Arrisbian Federation—sworn to protect the race that once saved their own. 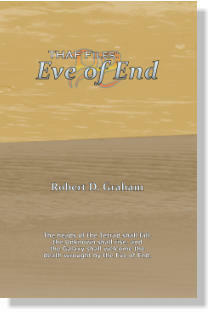 To destroy the malignant Zetkies, the team sets off on a journey through space, and beyond. Warning! Written by a high-schooler!